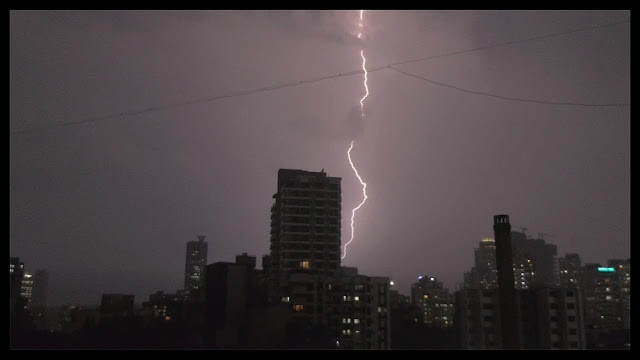 Today evening Heavy Thunderstorm lashed some parts of N. Konkan including South Mumbai. 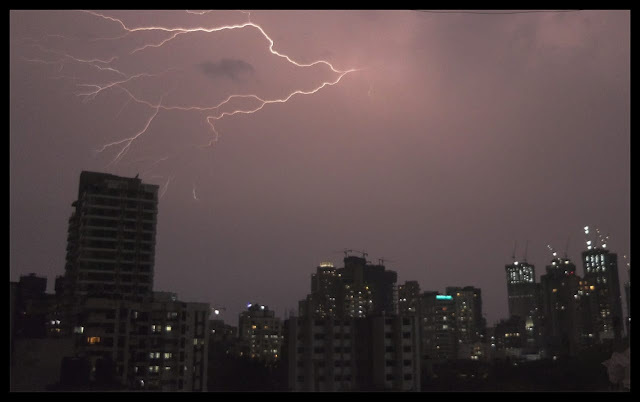 In Mumbai, especially downtown part from Colaba to Mahalaxmi/Byculla belt was lashed with heavy Thunderstorm rain for hour period with heavy vertical lightning strikes & loud thundering. Mumbai's outer eastern suburbs like Panvel & Dombivli also witnessed moderate to heavy Thunderstorm and rest Mumbai suburbs had just lightning & thunder show with cool gusty winds which brought bit a relief from sultry hot conditions. 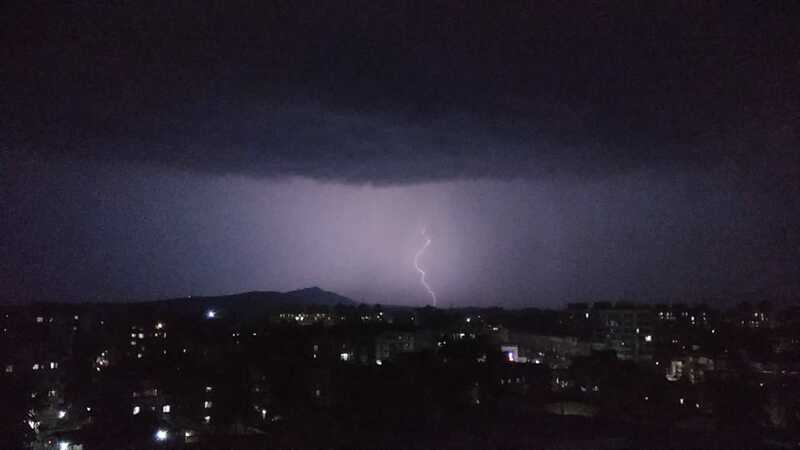 Badlapur saw huge lightning & thundering show with many vertical strikes in vicinity and witnessed thick drops drizzling with gusty cool winds. Nagothane in Raigad dist was lashed by severe Thunderstorm Rain with squally winds and Hailstorm too as CB cloud height shoot more than 18km tall there ! Though monosoon overall seems less than normal, do anyone have info about how is reservoir/dams situation across india. Why is Arabian sea side becoming cloudy ? Will this become cyclone like 'Ockhi' 2017 ? Then cyclone for Gujarat instead of south India. This will not be good for North east monsoon. Now SE India requires low,cyclones,depressions everything welcome for sake of water! skymet has put possibility of AS storm - not good for NEM - monsoon. NEM is going to be above normal. 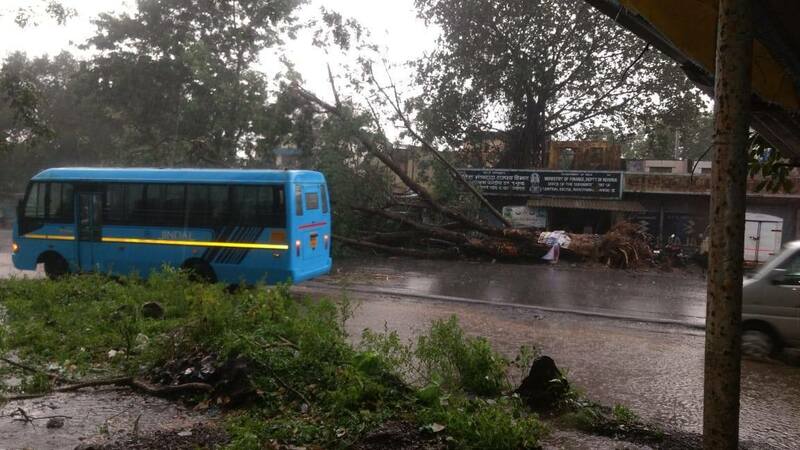 Already raining in south india..so there should not be worry.